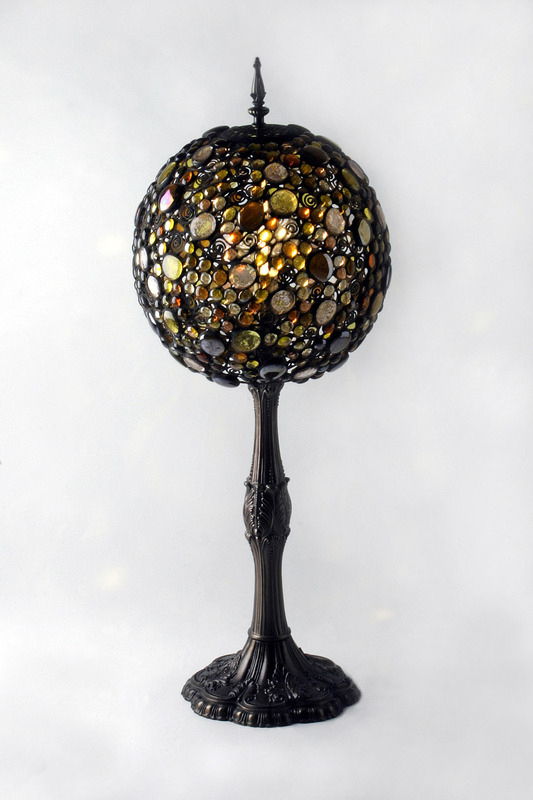 From base to tip of the finial, this piece of art is 31" high. The sphere itself is 14" round. The "Pompeii" base is pre-cast antique bronze.